Upptäck Barcelonas landmärken och höjdpunkter på en 5-timmars guidad tur med en erfaren guide. 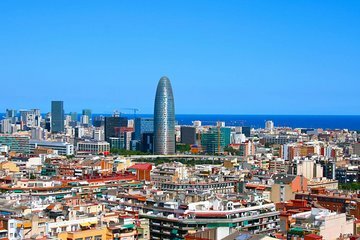 Njut av fri utsikt över den glamorösa Passeig de Gràcia från en panoramabuss och upptäck Gaudís mest kända moderna hem. Ta in platserna längs Medelhavskusten, med tid för att se den olympiska stadion, och gå ombord på en scenisk linbana för att få fantastiska, antennutsikt av staden. Utforska Plaça de Catalunya till fots med en vandring genom de smala kvarteren i gotiska kvarteren och historiska centrums landmärken. This was an amazing tour. Although we were many almost a full bus, the agency sent two guides and the group was split to every site, so everybody was able to hear and see. The explanations were in Spanish and English, alternatively, but the guide had no problems in covering both languages fluently. My conclusion of this tour is that, even with a smartphone, someone will not see or get the information that a professional guide can offers. The guide will always be better. I enjoyed the cable car ride. Perfect timing for what we needed. We managed to see most of the main attractions in a short period of time. The bus was modern and clean. Wifi access while on the bus was a plus. Our guide was new to the role and while he seemed knowledgeable his English could be improved. An amazing experience! Our tour guide was so well versed with the modern history and local culture! The air conditioned bus was super comfortable and I wish the trip went on for much longer! Would defnitely reccomend! Disappointing. Too little time spent at the Olympic site and too much time spent at a reproduction shopping area. I did learn about olive oils but the rest of the time I just spent sitting around since I didn't want souvenirs or do any shopping. The aerial tram was ok. Would choose something else. This was a good experience. Nice to get a bundle of activities. Unfortunately, though, it was my first day, and I didn't realize how long food/meals take in Barcelona. So, I stopped to get a snack in the Spanish Village and lost 3/4 of my time there. I was sad I didn't get to go into a lot of the little shops. But it was still neat to see, along with the walking tour and cable car ride. 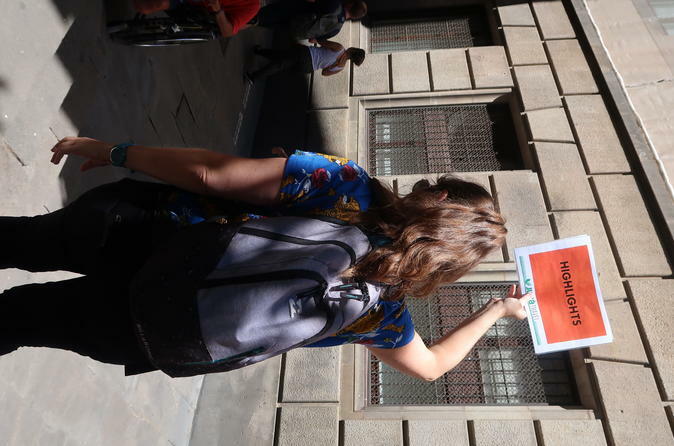 This was an absolutely marvelous tour, with a fabulous tour guide, would recommend this to anyone who visits Barcelona, Spain. Our only problem was that we did not actually complete the tour due to my husbands inability to walk the distance. It was a wonderful tour and thoroughly enjoyed our guide who we found to be very informative.